Another poll indicates Quebecers are trying out the idea of the Coalition Avenir Quebec as a government-in-waiting. The Ipsos/La Presse poll published Tuesday shows the CAQ with the support of 34 percent of Quebecers, followed by the Liberals at 30 percent. The Parti Quebecois is third at 23 percent, and Quebec Solidaire has dropped to eight percent. 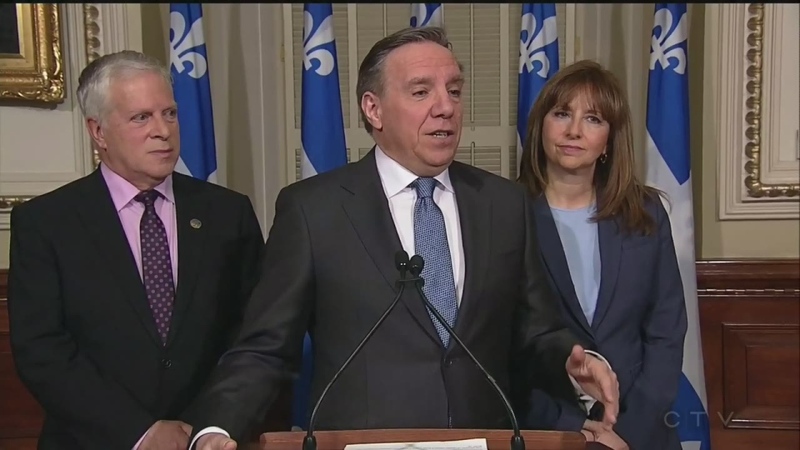 A poll conducted for Mainstreet in January showed the CAQ had the support of 32 percent of Quebecers, and a Leger poll had CAQ support at 39 percent. The leader of the CAQ is quite happy with the results but is trying hard not to let it go to his head. "Yes, polls are good but we have to keep on working hard. Second, I think we need to continue explaining our proposal. I think that that's the best strategy, and yes, to show that we are a government-in-waiting, that yes we're ready for October second," said Legault. In the face of the polls Premier Philippe Couillard is sticking to a message he will hammer daily for months to come. "I will repeat every day and every week, Quebec is doing way better than in 2014," said Couillard. The Liberals say the strong economy and booming job growth are signs they know best how to govern. That governance will be demonstrated in several weeks when Finance Minister Carlos Leitao delivers another budget. "We'll have a balanced approach, which means that we'll continue to lighten the fiscal burden as well as funding appropriately public services," said Leitao. The Liberals are also expected to table a bill increasing the amount of vacation given to working Quebecers. "What families these days want the most is time, time to spend with their families, time to spend with with friends, so I think moving in that direction will be a positive move," said Leitao. The Parti Quebecois was not displeased with the poll results. While this Ipsos poll shows a one percentage point drop since the previous Ipsos poll in October, it's the third poll in the past month to show an increase for support for the PQ -- although those polls come from three different companies with three different methods of evaluating support. Voters can expect to see more of Veronique Hivon who was recently named a co-spokesperson for the PQ. "Of course, we have a lot of work to do. But, as you know, two weeks ago, there was a poll in which we were at 18, and today we are at 23," said Hivon. Repeated polls show Quebec Solidaire has lost support since announcing a merger with Option Nationale, indicating Quebecers who liked the party's left-wing policies are not in favour of its stronger stance on separation. The Ipsos poll was conducted from Feb. 2 to 4, inclusive, and surveyed 797 people online and 500 people via telephone, for a total of 1,297 respondents.